September | 2009 | Promotional Incentives, Inc.
Friday, we had the good fortune of hosting an exhibitor table at the Gulf Coast Society of Fund Raising Executives (GCSFRE) Annual Fund Raising Day at Hodges University. Since good news seems is an anomaly these days, I thought I’d share about our positive experience. The atmosphere and attitudes were uplifting, energetic, and enthuasiastic as over 90 execs invested in a day of education and sharing of ideas. These professionals shared knowledge, ideas and a few laughs and as they worked together to continue their serious mission of fund raising in an economically-challenging environment. It was inspiring to see how each person represents their organization with heart, courage and sincerity. In other words, they believe in what they do. As an exhibitor, it was refreshing to see nearly every attendee visit our ‘booth’, showing interest in our company, products and appreciation for our participation. It was fun and satisfying for me to display several promotional items and recogntion gifts Promotional Incentives has provided to charitable, not-for-profit organizations. The theme for the day was Show Me the Money – with an eco-friendly ‘green’ emphasis. Included at our booth were samples of our Green Apparel Line comprised of natural fibers from bamboo and organic cotton. We also gave away Promotional Incentives Post-it note pads on recycled paper and grip chip clips made in America. Among the most attention-getting samples at our booth: a wine bottle-shaped compressed T-shirt mailed as an invitation to a wine festival; moisture-management T-shirts for a fund raising walk; satin-etched wine glasses as commemoratives for events; custom printed flash/usb drives uploaded with data for conferences, companies and trade organizations, mouse pads for alumni associations. I would say all of the vendors agreed it was a worthwhile marketing opportunity that delivered results. You can count on us again next year! Tired of the same old stock calendars? Here’s a new twist that will practically guarantee your customer will keep the calendar you give them: monthly wall or desktop calendars with beautiful 4-color designs and your customer’s name embedded in the image each month. Your company logo is on the calendar pad each month for a dual marketing tool that is sure to last. 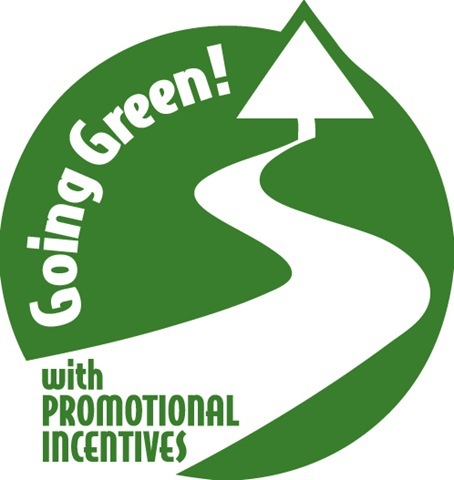 Promotional Incentives will be displaying our many eco-friendly options to help promote your company. Friday, Sept. 11 at the Gulf Coast Society of Fund Raising Executives Fundraising Conference at Hodges University. Gulf Coast Society of Fund Raising Execs Thursday, Sept. 24 Greater Fort Myers Chamber of Commerce EXPO at Harborside Convention Center.